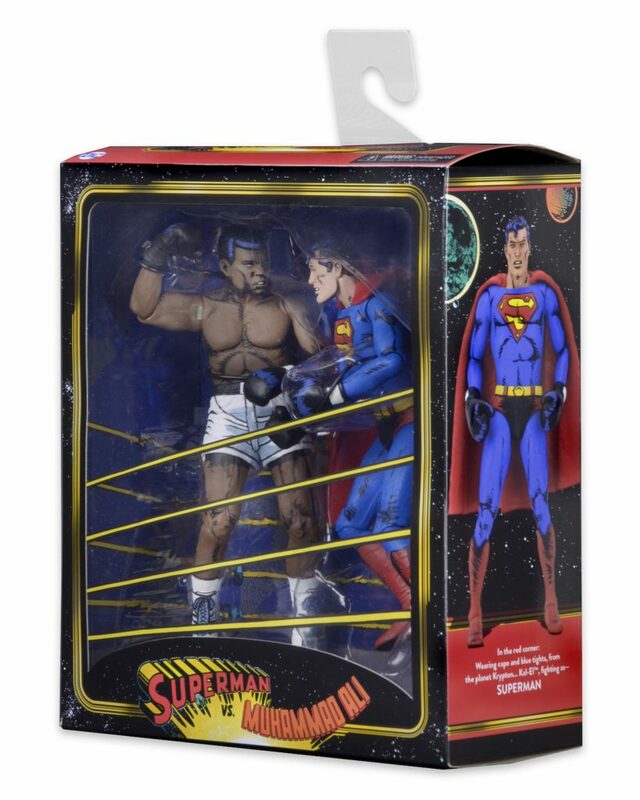 Enjoy new packaging photos of the upcoming Superman vs Muhammad Ali action figure set, shipping to stores at the end of January! 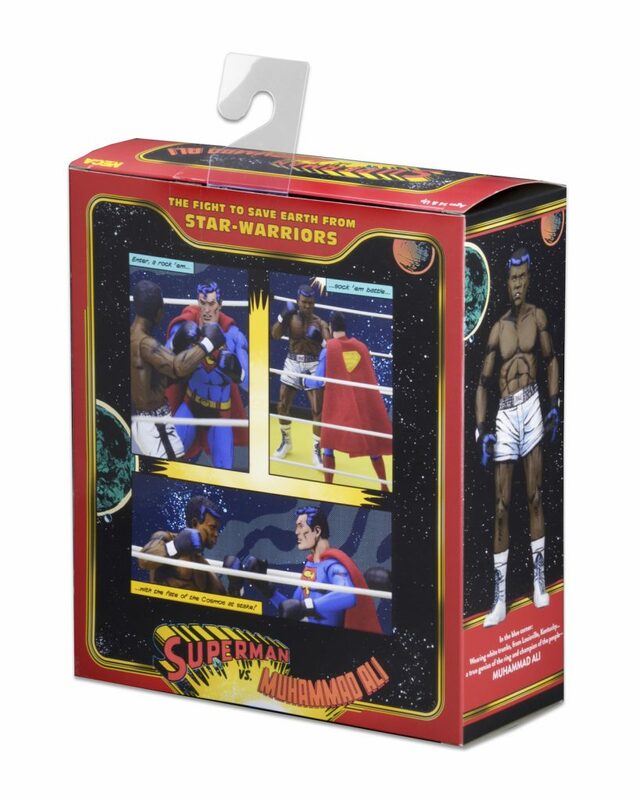 Now you can recreate the iconic match between the Greatest of All Time and the Strongest Man on Earth, straight from the pages of DC Comics – we’ve even set up the packaging to look like the cover of that issue. 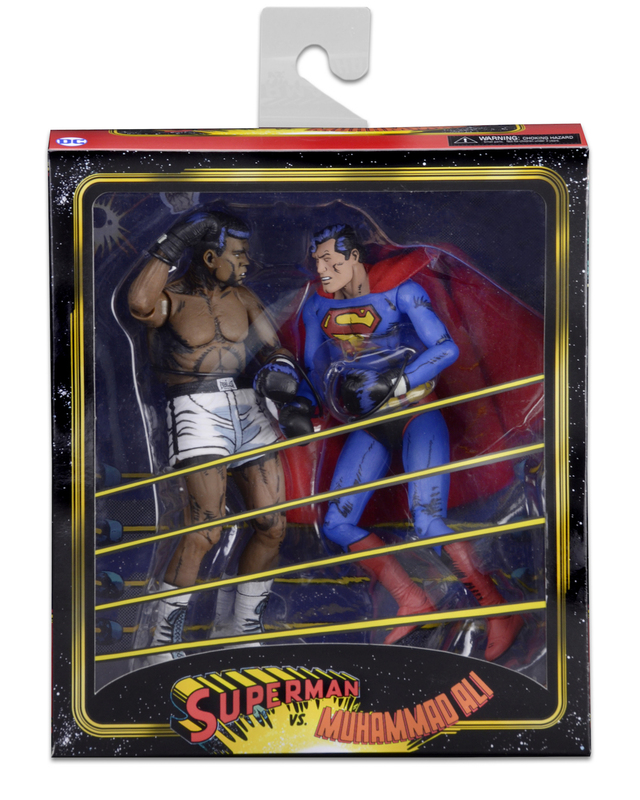 Check out the images below!